Today’s world is made of change. Other than earlier generations we are used to the fact the our lives are influenced by technical innovation. In our daily life we are using tools and devices very naturally that didn’t even exist a decade ago. And we can already not imagine to live without anymore. We seem to get used to change very easily, even if many people say, that they have difficulties with it. Both is possible. If we see improvement or a certain level of comfortableness we can easily adapt – in that case we are even longing for it and can’t wait to get going. But there are other situations in which the decision for change is made without us being asked or in which change is just a necessity for our lives. In that case accepting change is a lot more difficult for us. In today’s business life change is a natural factor. The young working generation cannot imagine to work with one company for more than 40 years or to be in a position longer than 3 to 5 years. “What about progress? What about career development? What about innovation and improvement?” they might ask. But change in business life can also be about heavy decisions to be taken – turnaround plans that influence hundreds of employees who might be losing their job or suffer from significant salary and/or benefit cuts. Both of it is very common these days. What does that mean for the individual? 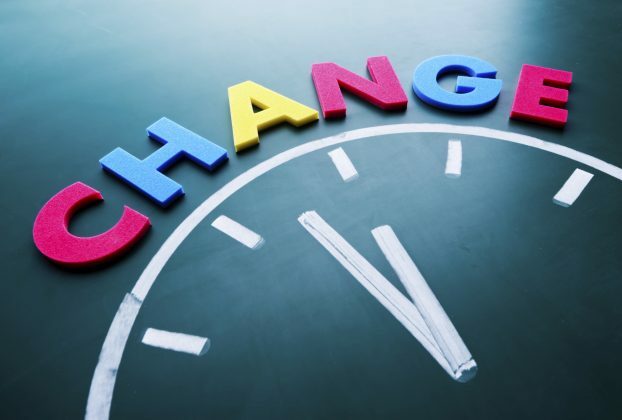 Dealing with change means that nothing is really predictable anymore. You cannot just rely on your experience because things will be different in the future. Planning is going to be very challenging. But people want to make plans, set goals, live up to their dreams. They want to achieve things, but at the same time they cannot be sure if these things are still achievable in the future. Making long-term decisions gets another dimension, because you always play with an unknown part. People try to manage and make the best of it, but they start to develop an inner consciousness that change might not only affect parts of their lives that are welcoming it, but also sensitive parts such as family and relationships. And then there is the other side. People that only see chances and opportunities in our world of technical innovation and progress. They realize that everything can be possible in the future and they can be part of discovering. The most crazy idea can be living reality in a few years from now. They constantly think about tools and devices to make our lives easier and make the world a better and healthier place. Everything seems to be achievable, even quicker than we would ever have imagined in our era of high-speed progress. These are the creatives, the entrepreneurs, the fearless – free minds in paradise. In the end these will be the admired ones.